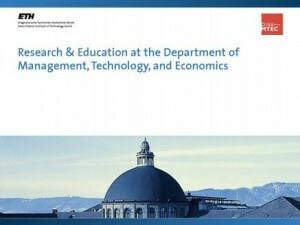 Master of Advanced Studies ETH in Management, Technology, and Economics – BWI/MTEC. Agronomy Engineer in Plant Sciences. Federal Institute of Technology Zurich ETH, Zurich, Switzerland, Department of Management, Technology and Economics MTEC. Institut für Informatik-Ausbildung IFA, Zürich. Study and degree of Agronomy at the Federal Institute of Technology Zurich ETH, Zurich, Switzerland, Department of Agriculture and Food Sciences. Degree on the yield formation of winter wheat. Study of the plant pathology, the tropical agronomy and the crop protection, as well as the production of cereals, oil crops, potatoes, industrial crops, vegetables and fruits. 9/72- 6/86 Schools up to the Federal Matura Scientific Type in Locarno TI. 1/14 Adobe Experience Manager AEM Author 6.x., Adobe, Basel, Schweiz. 4/13 Adobe Sitecatalys. Adobe, London, UK. 8/11-9/12 Frontline Manager Training MTG. Mettler-Toledo, Schweiz. 4/11 CQ5 Author training. Day/Adobe, Basel, Schweiz. 2/04 Obtree C4 Content Engineer Standard. Ixos, Basel, Schweiz. 4/02 Intensive English ProgramEnglish Language Center, Santa Barbara, CA. 9/99 Project management. Swiss Federal Office of Personnel, Bern. 8/99 Communication and conversation leading. Swiss Federal Office of Personnel, Bern. 98 Marketing course, account management and foundation of a small enterprises.Business Tools AG, Federal Institute of Technology Zurich. 95-98 Analyse of variance and multivariate analyse. SW-tools Word, Excel, Power Point, Corel Draw and StatisticaSwiss Federal Research Station for Agroecology and Agriculture FAL, Zurich. 5/87-6/87 Spanish language. Salamanca, Spain. 1/87-4/87 German language. Göthe Institut, Berlin and Freiburg i.B., Germany. 75-79 French language. Chatel Saint-denis, FR.